I’m no stranger to eating bugs. Every time I climb onto my bike or go for a run, I seem to become a fly magnet. They fly down my top, up my nose and if it’s a particularly nice day and I’ve been smiling lots while running or cycling then they’re also in my teeth. I am basically moving flypaper. I am USED to eating bugs. But what if someone handed me a protein bar. Told me it contained ground up bugs – crickets, to be exact. Would I put it voluntarily put in my mouth? Having a bar made of insects also allows for some interesting experiments, especially when the 7 year old begs you for some of your ‘chocolate bar’. Turns out she liked it. Until I told her it contained crickets. At which point she very much didn’t. However I was rather impressed that a 7 year old who has never seen a cricket knows what one is. (Although she probably thinks it’s a man wearing white clothes and wielding a willow bat). I see therapy in her future. And possibly some interesting questions at parents evening. Insects already form part of the diet of over 2 billion people, so I put aside my squeamishness and tried out two different types of bars containing crickets, the SENS bars and the EAT GRUB bars. The bars were sent to me to review but as usual I put exactly what I thought and wasn't paid for the reviews. Well, it turns out that the bars look very much like chocolate. Which helps. A lot. There are several flavours, some of which I found delicious – pineapple and coconut, peanut butter & cinnamon, some of which I found less so – chocolate & sesame. The ones with the strong flavours were my favourite and the pineapple and coconut ones were very tasty. The bars are very compact, about 7cm x 5cm and 0.5cm thick. 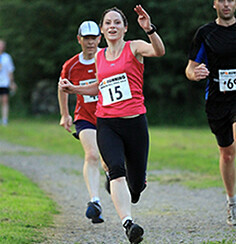 Handy for carrying in a running belt or in a dropbox. The bars contain up to 33 grams of protein per 100g and come in a well sealed packet. The bars are quite crumbly (texture quite similar to some chia seed cocoa bars) but most importantly I couldn’t spot any identifiable cricket body parts, because the bars are made from cricket flour. The crickets are cooled to make them hibernate, washed multiple times, then heated and dried and milled into a powder which is the cricket flour. The cricket flour is apparently mainly tasteless and the flavour is that of the flavoured ingredients. 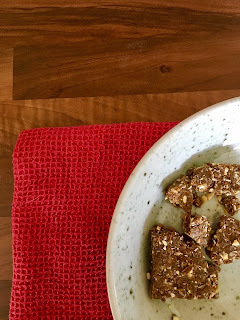 Having not eaten crickets before on their own as a snack, I couldn’t comment on how they taste but the bars certainly tasted of what they were supposed to. The SENS team is made of of Daniel, Radek and Peter and their plan is to offer the western world a new and alternative diet that is superior, more sustainable, and moral compared to our current diet. They want animals to be treated more humanely and food production to be more rational and alternative sources of protein to be promoted as part of this. They aim to offer a nutritious and guilt free snack without soy, gluten, dairy or added sugar. 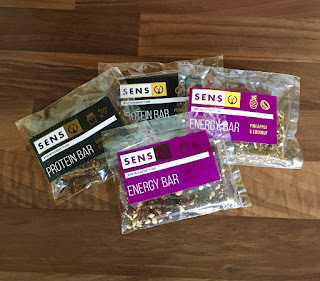 These bars tasted very different to the SENS Bars which goes to show that not all crickets are the same. 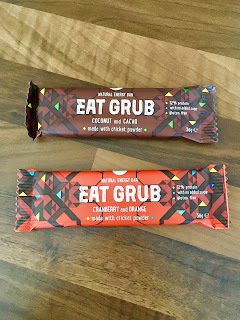 These were moist and had a similar flavour and consistency to a Clif Bar - if I hadn’t read the ingredients and been assured these were in fact a ‘bug bar’, I’d have assumed it was an energy bar containing standard flour and ingredients. Good if you’re a bit unsure about eating bugs and would like a snack that doesn't necessarily taste different to your usual treats! The flavours I tried were Cocoa & Coconut and Cranberry & Orange and both flavours were delicious. The Cocoa & Coconut was moist and tasted exactly like it should - it was tasty and chocolatey. The Cranberry & Orange was very fruity and if it hadn’t been advertised as such, I wouldn’t have known it was a protein bar - it was delicious. 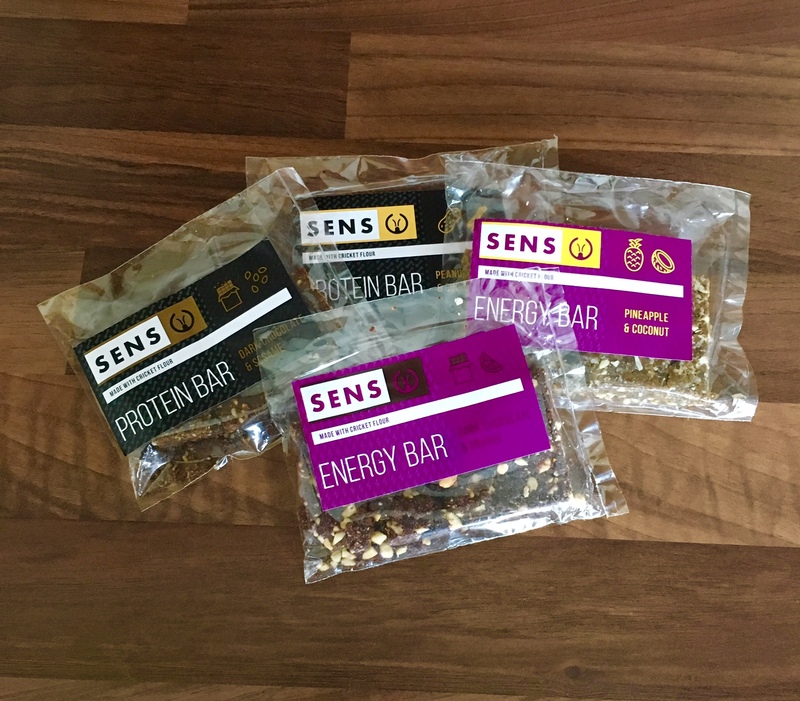 The bars are also gluten, nut, dairy and soy free with no added sugar.The bars were a bit larger then the SENS bars although still compact enough to carry on the run and contain up to 12g of protein per 100g. Friends Shami and Neil are the guys who founded Grub, the company having started from a chat at a party! Shami visited Malawi in East Africa and enjoyed tasting local food which included the termites which are caught and roasted at the beginning of the rainy season. Neil was diagnosed with Crohn’s disease at an early age and this debilitating bowel condition requires a selective, enriched diet. Edible insects can be a great help for sufferers, thanks to the abundance of nutrients they contain, coupled with their low levels of complex fats. Together they offer a range of edible insects on their online shop and also a selection of recipes! Insects are already a part of the diet of over 2 billion people! Insects are highly nutritious and can be a good alternative to the usual sources of protein such as chicken, port, beef and fish. Insects can be high in protein, calcium, iron and contain good fats and zinc. Insects don’t have to reared on the land and therefore wouldn’t need land clearing. They also don’t provide the ammonia emissions associated with traditional livestock rearing. They also provide far less GHGs and only a few insect groups such as termites and cockroaches provide methane. It is also a low tech and low capital investment opportunity for all sections of society. So if you fancy a protein hit that's a little bit different and a lot more environmentally friendly, then give crickets a try!